disruptive during the ride. Mayank’s plan worked—the distraction helped the other child focus and stay calm. It was his idea. Mayank is generally in tune with other kids’ emotions and can empathise with others. The story illustrates this child’s high EQ, or emotional intelligence quotient. It’s a skill set that’s been getting a lot of buzz,research has proven that it matters more than child’s IQ (your child’s intelligence quotient) To really be successful,happy and healthy,those IQ traits should be rounded out with social-emotional skills (EQ skills) like emotional literacy,empathy, motivation, perseverance, impulse control, coping mechanisms and the ability to delay gratification. Daniel Goleman, one of the first people to raise awareness of EQ, is the author of Emotional Intelligence, a groundbreaking book that came out in 1995. Since its release, study after study has proven EQ’s importance: that emotional intelligence predicts future success in relationships, health and quality of life. It’s been shown that children with high EQs earn better grades, stay in school longer and make healthier choices overall (for example, they are less likely to be impulsive,angerprone,get stressed out & depressed); teachers also report that high-EQ students are more co-operative and make better leaders in the classroom. There’s also a relationship between emotional intelligence and bullying, with EQ education initiatives seen as a way to help prevent bullying. What’s more, having a high emotional intelligence is a greater predictor of career success than having a high IQ, which means it’s valued by employers looking for candidates who can complete work and get along with people in progressively collaborative workplaces. How do you measure EQ? A traditional IQ test assesses cognitive abilities through vocabulary, reading comprehension and retention, reasoning and math skills. Meanwhile, EQ assessments test different aspects of emotional intelligence: emotional literacy, empathy, intrinsic motivation and how we navigate emotions. Schools with more progressive approaches to social-emotional learning are starting to assess EQ in students to get a baseline, much like they test math or reading .We at Equip kids measure EQ of children & adults through a validated test. Emotional intelligence quotient scores are in decline all over the world, according to the State of the Heart 2016 report, an annual scorecard by Six Seconds, the Emotional Intelligence Network. The emotionally intelligent child is also one who can label her own emotions accurately, regulate them and control reactions to them; for example, she can verbalize her anger or frustration and think of ways to defuse her feelings rather than throw a book against the wall. 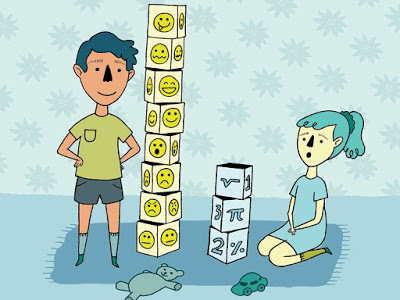 A child with a high EQ can also handle more complex social situations and build meaningful friendships, in part because of that ability to relate to or empathize with peers. Parents can begin teaching emotional literacy to their kids from infancy.One of the things that’s really important in the early years is for children to be able to understand how they’re feeling and to be able to put words to those feelings rather than acting out. The peak time for physical aggression in children is between ages two and five—before they start school. It’s a time when kids grab, hit or bite because they don’t have the language of emotions to express themselves adequately. But their aggressive communication presents an opportunity for parents to help them name those feelings and to coach them—through play or by moderating their play with other children—on how to get along. or mirror their feelings, but ultimately, It’s their job to learn how to fix it. You can help them by coaching them in the moment.